On August 20, 2015, the Tennessee Department of Safety and the Tennessee Governor’s Highway Safety Office announced the winners of the 11th Annual Law Enforcement Challenge. Participating law enforcement agencies are categorized according to the size of the department. 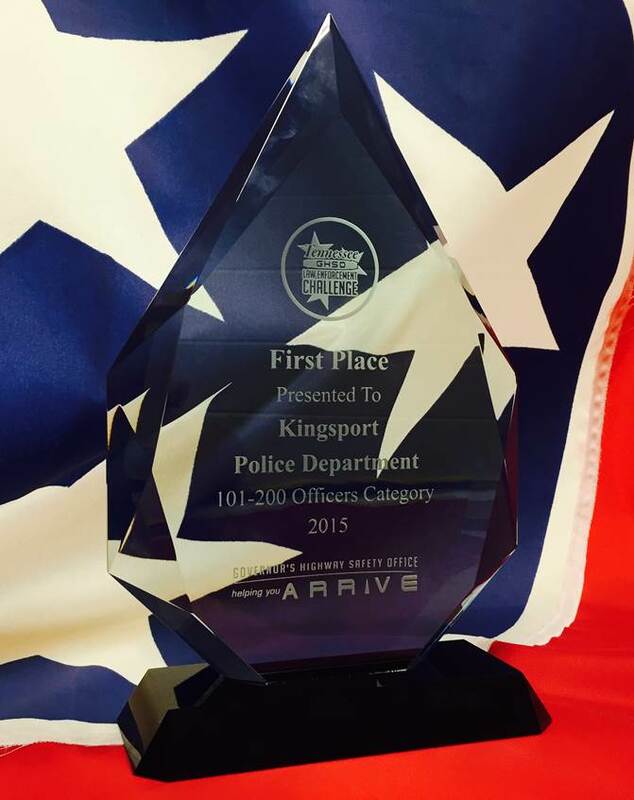 In the 101-200 officer division, the Kingsport Police Department won first place. The Law Enforcement Challenge is an annual competition designed to recognize and reward the best overall traffic safety programs across the state. Similar sizes and types of agencies are judged on their local efforts to enforce laws and educate the public about impaired driving, speeding, and occupant protection. The winning safety programs combine officer training, public information, and enforcement to reduce crashes and injuries within their jurisdiction.